Irish-American distance runner Shalane Flanagan keeps running strong as she placed second for women in her debut in the 2010 New York City marathon. Flanagan ran the 26.2 miles in 2:28:40, only 20 seconds short of first place. In 2008, Flanagan received the bronze medal at the Olympic Games in Beijing. She won third place for her time of 30:22.22 in the Women’s 10,000m Finals. Along with a medal win, Flanagan’s time set a new American record and she became the second American woman to receive a medal in the 10,000-meter event. She also holds the American record for the 3,000m and 5,000m distances. Flanagan was born in 1981 in Colorado to marathon runners Cheryl Treworgy and Steve Flanagan. She grew up in Massachusetts, where she excelled in cross-country during her high school years. 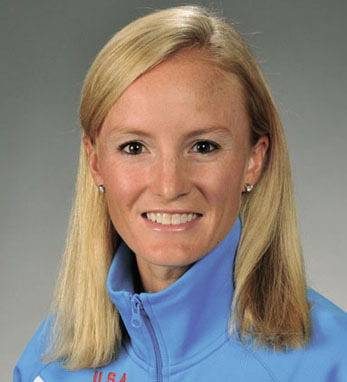 During her time at the University of North Carolina at Chapel Hill, Flanagan won national cross-country titles in 2002 and 2003. In 2004, she became a professional runner and has been breaking records and winning big ever since.